Product details: Material: 100% Linen Style: Simple Size: Pillow/Sham:Stardand:20"x 30" (51 x 76 cm) King:20" x 40"l(51cm x 102cm) Benefits: Our product is using the best quality of flax fiber from Belgium and manufacture in China. Because linen fiber properties are close to human, It is particularly comfortable and sensual against delicate skin. It is naturally antibacterial, antifungal and has great anti allergenic properties. It is able to absorb a large amount of water and moisture , and works as a thermo/cooling regulator , which allows the skin to breath, cool to the touch in summer and warm in winter. Easy to Care for: No ironing needed. Machine washable, It becomes softer after every wash The characteristics of the linen fabric are a great strength and durability, much stronger than cotton. Note: Due to the nature of linen, you will find slight variations in color, as well as fabric irregularities that come from the spinning or weaving process. The imperfections of the long and short fibers create knots and slubs in the weaving, giving this product a natural and unique look. These irregularities should not be considered imperfections, but rather the beauty of the linen fabric, one of the oldest natural fabrics in textiles. 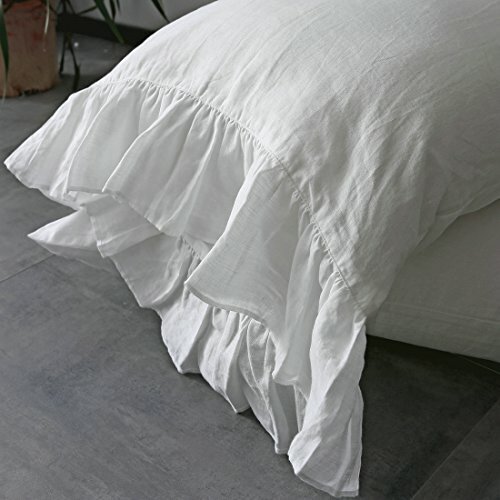 Each piece in the range is lovingly hem stitched with high attention to detail, resulting in an elegant, simple and luxurious piece of bedding. 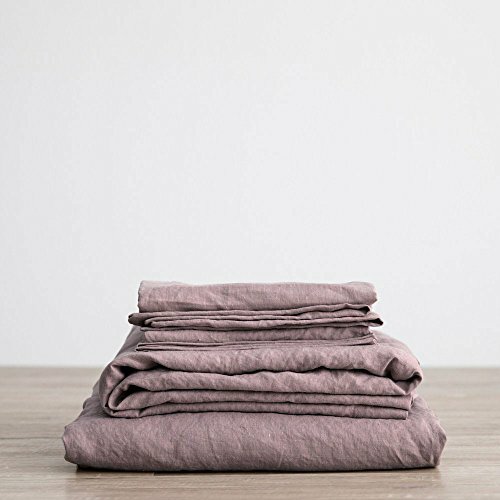 These pure linen sheets have been pre-washed, which is a technique that softens the fibres to give you bedding that has a beautiful delicate texture and elegant drape as it's worn on your bed.Our company is one of the leading home textiles manufacturers in Qingdao,China,which main products are including bedding sets,quilt,duvet cover set,curtain,cushion etc.And we have more than 20 years experience in home textiles.We are experts in manufacturing high quality textiles and pride ourselves on only producing the finest products. 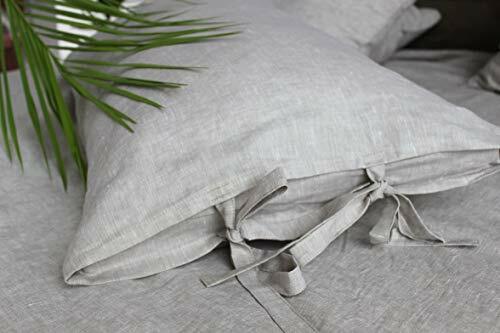 Product detailsMaterial:100% French grown flax Stardand size:20"x 30", King size:20" x 40"
A set of 2 pillow covers in 100% linen woven from European flax, pre-washed for softness.Merryfeel is brand focused on the intersection of modern design, affordability and community. Everything we sell-from tablelinen to bedding and bathrobe-is made with one goal in mind: to help our customers express their personal style at home and in the world.We're international with our online shop spreads our footprint even wider, shipping Merryfeel product anywhere in the US,UK, Europe ,Fareast and to over 90 countries worldwide. Basically, we're everywhere you are. We care about impact too. By designing over 90% of our products in-house, our design team has steadily increased our selection of organic, handcrafted, sustainably sourced from all over the world products. There's a story behind everything we sell-one that starts in Merryfeel and lives on with you. 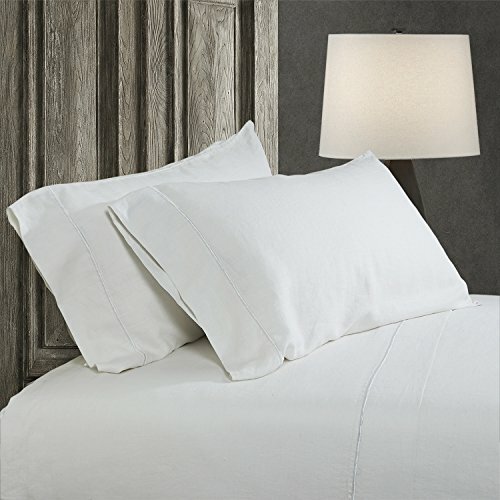 500TC Premium Collection Mayfair Linen wants you to enjoy a cool and comfortable night's sleep on these luxurious 100% Egyptian Cotton pillowcases. 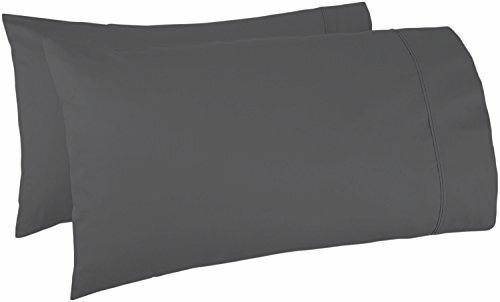 Made from deluxe long staple cotton yarns, these pillowcases are designed to assure you a great night's sleep. Easy to Care for: Durable and Fade resistant. Machine wash in cold with like colors. 100% Satisfaction Guaranteed At Mayfair Linen we guarantee your 100% satisfaction! If within 30 days you are not 100% satisfied return your product for a full refund! NO QUESTIONS ASKED! Go ahead and pamper yourself with the softness of Luxury sheets at the fraction of the price. 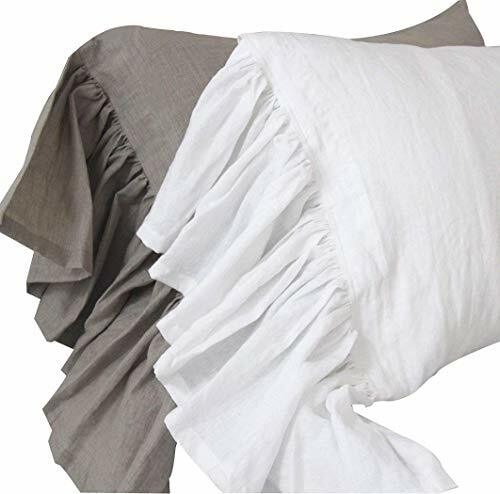 Color: natural linen oatmeal/White/Off-white/Silver grey/Dark grey Features two bow ties on the one side and envelop closure for the pillow Listing is for 1 pillow cover Content: 100% Linen Size: - Standard US - 20 " X 26" - Queen US - 20 " X 30 " - King US - 20 " X 36 " - Euro pillow - 26 " X 26 " - Square pillow - 20 " X 20 " - Square pillow 16" X 16"Care : machine washing up to 40 C (104 F) degrees, do not bleach. Iron shams just a little while linen is not completely dry. They will keep natural wrinkles and have the best look. 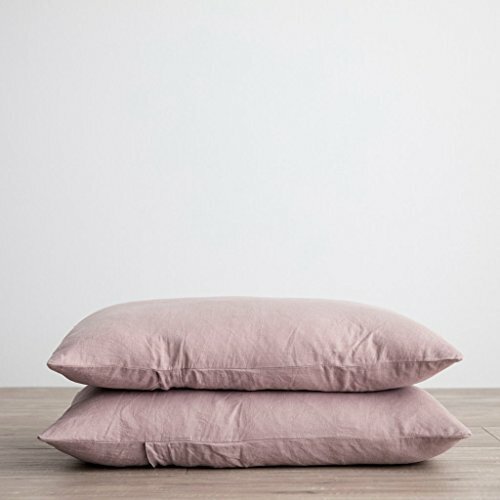 Product Description: Pillow Covers:1pc. Style :envelope closure for easy tuck in. SIZE: , king 20"x36"+7"(50cm*92cm+18CM) , queen 20"x30"+5.1"(50cm*75cm+18cm). twin 20"*26"+5.1"(50cm*66cm+14cm) COLOR: Pure white and Light Gray Linen Care Linen fabric is nature fabric , nature linen fabric face have some Slub effect , if you love this Slub effect. Linen Care - Do not expose it to the hot sun -New purchase bed is tasted before first use cold water to rinse ,bubble time not to be able to surpass 10 minutes -Bed Our Linen products all use high quality linen fabric finished , Our linen fabric factory specialized in linen series fabrics for 30 years ,all flax fiber from French ,use UK Germany, Italy and other countries the opportunity to machine equipment production .We have many years experience in fabric production ,We know what fabric is the best and most suitable for products .All Linen products we also accept bulk order customer size and style ,or welcome to contact us when you would like to custom order /custom made/custom requirement . 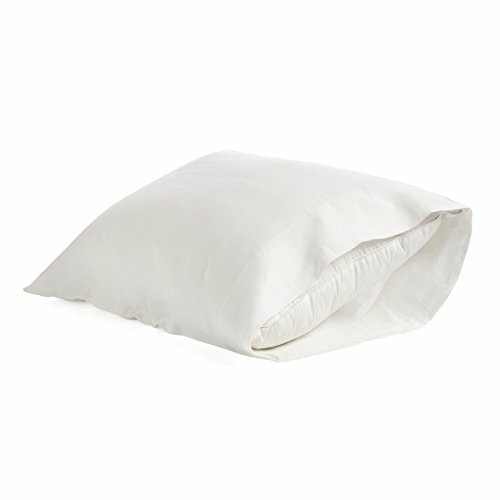 Looking for more Linen Pillowcase similar ideas? Try to explore these searches: Dusty Coral, Dvl Double Wall Black Pipe, and Cylinder Jack. Look at latest related video about Linen Pillowcase. Shopwizion.com is the smartest way for online shopping: compare prices of leading online shops for best deals around the web. 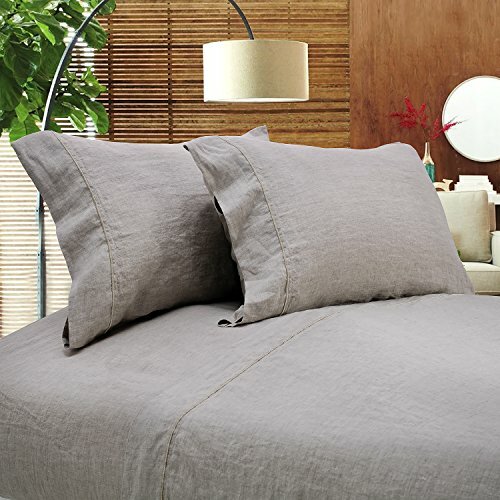 Don't miss TOP Linen Pillowcase deals, updated daily.